It is time to share with you awesome wedding I photographed few weeks ago. Wedding where everything was with massive wow factor. I mean everything. I haven’t seen such attention for detail for a while. Be warned, AWESOME word might come out few times here :) One of the best wedding suppliers in Edinburgh came together and made this happen. Energy, love and more love. Plus massive injection of creativity. Loved to see how not only girls have beautiful connection during this wedding, but boys equally had awesome time. It was very nice to see how best man really was holding it together during the ceremony. Mike you are truly best friend. Loved your speech about business partners :) Dads strawberry story was very nice touch too. Now I will talk about days suppliers so if you want to see images, scroll on or keep reading about awesome team on the day. 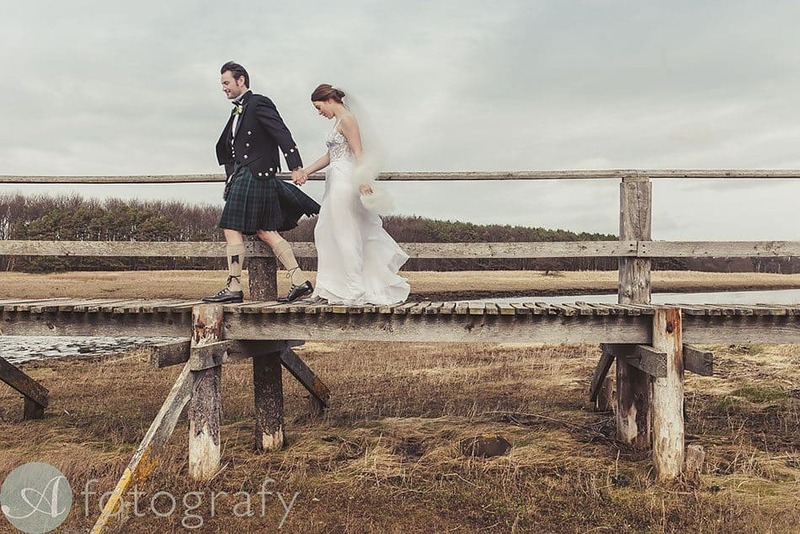 Wedding was held at beautiful Archerfield House. This was the first time when I was actually photographing at the main house. Just amazing getting ready place and beautiful drinks reception. Wedding theme was Alice in Wonderland. So you can just imagine if you ask Planet Flowers to make magic happen. Just jaw dropping as always :) There were so many decoration details that you even don’t know where to start with taking photos. Loved everything what they made and what they did at actual waterfront venue, was just awesome. Set up for seating plan was very interactive. Making a simple table plan with names, naaaah, guys came up with idea to attach each name to a key or some sort of item from theme story. See images. That was awesome. Guys whoever made that, HATS OFF. Hair was done by very talented Chris from Dickson Reid. This was our first time working together and I loved the fact that he stayed all day with wedding party to look after ladies hair. Very personal service, awesome. I loved what Lauren from www.laurengollan.co.uk did with make up. It was very natural looking. See images. Very pretty. Now the wedding dress. When I first saw it hanging on wardrobe edge, I was very intrigued to see how it will look on Becca. I always love details and her top of the dress was very detailed. So when she put it on, I was like WHAAAT!!! This looks just wow. Dress was designed by Mira Zwillinger. Loved how it was on Becca. Suited her perfectly. NOW, I have to say something. I have attended many weddings. I can say pretty much with 100% certainty that this was one of the most awesome bands.The White Band It wasn’t your traditional lets dance some Ceilidh band. These guys very rocking stage like crazy. First dance was performed by couples friend, but rest of the night dance floor was packed. That tells you that these guys know what to do on stage :) Loved the tunes. There was also a surprise appearance. HE HE these guys very like out of this world. First when they showed up, I was a bit surprised thinking that this might be some prank or something :) They were amazing. Crowd was going wild and not to mention them jumping around and filling everyone with energy. Band was called The Gutty Slippers. Just before I headed home, we had surprise fireworks too :) Just a little cherry on top to sweeten up evening.